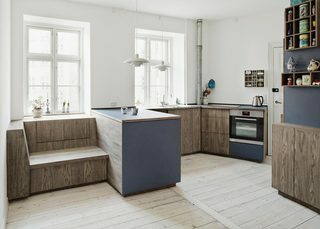 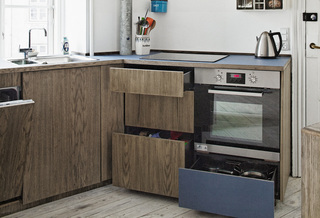 A customised kitchen in blue linoleum and Oak veneer for an apartment in Copenhagen, accomodating the clients needs as well as the layout of the space. 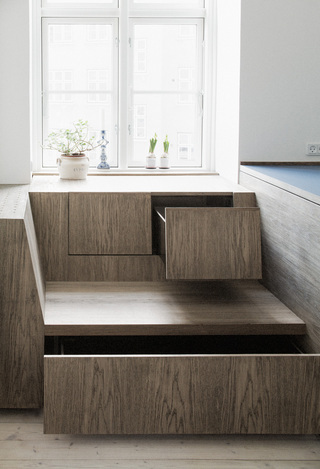 Storage space was maximised by the use of drawers in any possible way. 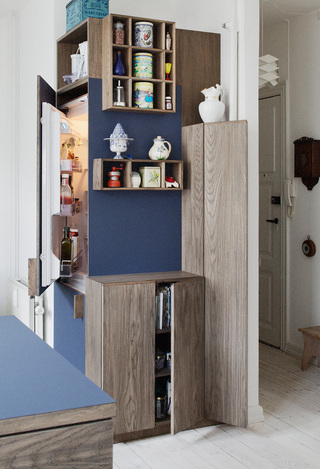 The veneer was treated by a pigmented wax oil to achieve an intensive dark look.